visuals that snatches the mind of its Audience, this song will definitely capture your heart. This is the revolution we need in the Nigerian Music Industry. Young minds who bring Nigerian Music to life. 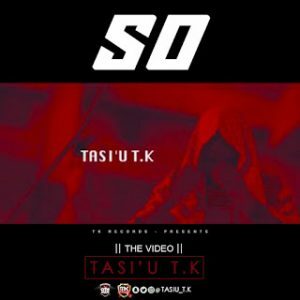 Welcome to the Era of Vibes, this Nigerian Born Kaduna Artist “Tasi’u T.k” is one to watch out for. So is a soothing mid tempo Afro-Pop song with an addictive percussive rhythm that is sure to have you grooving. Produced by PCB, Tasi’u T.k vocal and lyrical delivery certifies this track as one for your speakers.